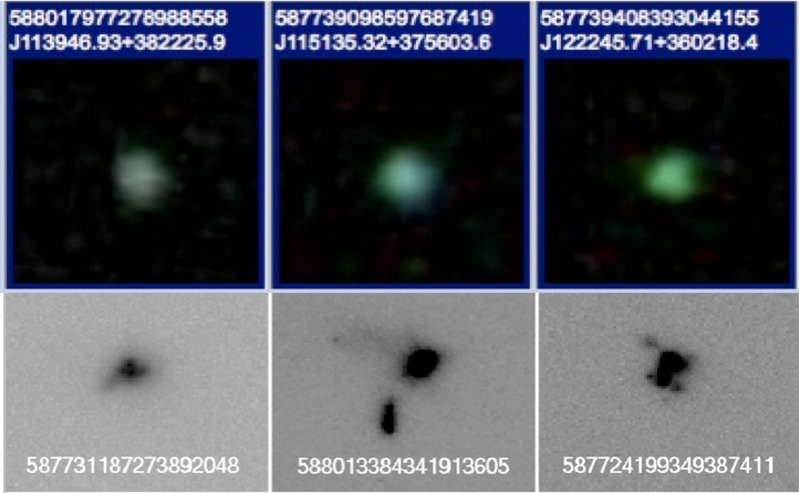 As we approach the 8th anniversary of the Galaxy Zoo project, it is a great opportunity to look back at one of the most fascinating discoveries of citizen science in Galaxy Zoo – the “Green Pea” galaxies. Volunteers on the forum first noted these galaxies due to their peculiar bright green color and small size. 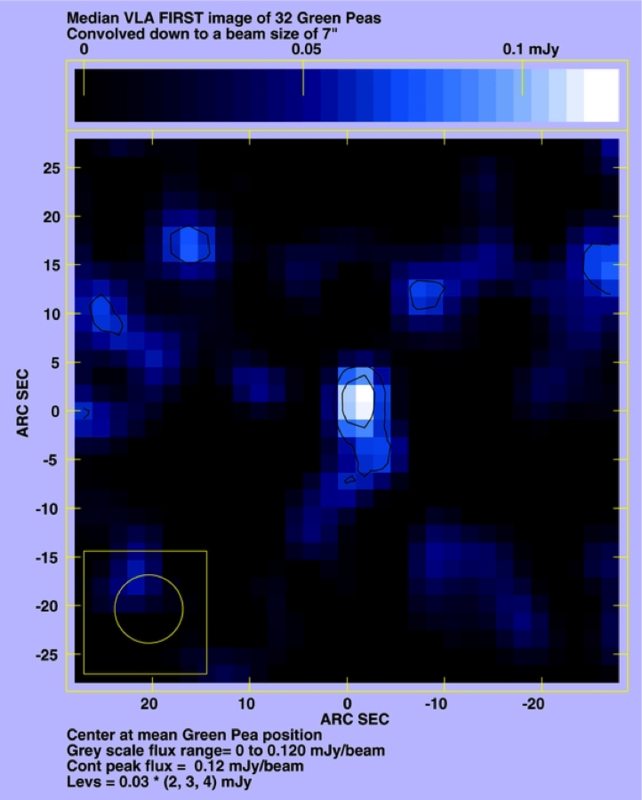 Their discovery was published in our 8th paper: ‘Galaxy Zoo Green Peas: discovery of a class of compact extremely star-forming galaxies’ and is noted on the blog here. But the story doesn’t end with their discovery. Top Row: Green Peas in the original imaging are compact & bright green. Bottom Row: Green Pea galaxies as imaged by the Hubble Space Telescope show patches of starformation. In the years since the publication of their discovery paper by the Galaxy Zoo Science Team, the Green Peas are beginning to fulfill their promise as a living fossil of galaxy evolution. Because they aren’t too far away, they provide a unique local laboratory in which we can investigate processes key to the formation and evolution of galaxies in the early universe. They are living ‘fossils,’ undergoing extraordinary, intense starbursts unlike any other galaxies known in the local universe. Their color is due to a large amount of emission in an oxygen line [OIII]/5007A that made their appearance green in the images. Follow-up studies of the Green Peas have looked in great detail at their abundances of various elements, something that cannot be done in their high redshift analogs. The results of these studies show that they have energetic outflows of gas and lower oxygen abundances than other typical local galaxies with similar masses. They also suggest what might be responsible for ionizing the gas in the galaxies and producing those bright emission lines (e.g., Wolf-Rayet stars). Their clumpy morphologies (or shapes) have been confirmed and suggest that star formation in the peas occurs in several separate knots throughout the galaxy. Their radio emission implies they have strong magnetic fields, larger than that of the Milky Way. All of these results paint a picture of galaxies very similar to those that formed in the early Universe. 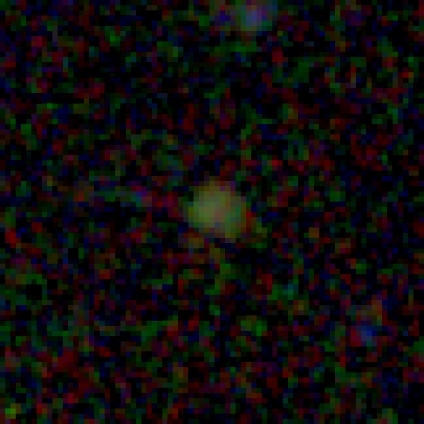 This image shows radio emission detected from a combination (stack) of 32 different Green Pea Galaxies. Results from studies of these galaxies can provide challenges to commonly accepted models. For example, the strong magnetic fields challenge models that suggest magnetic fields grow slowly over time and observations of the variation in Lyman alpha emission line profiles and strengths challenge models of the dependence of the emission line shape on gas properties in the galaxy. The Green Peas have held up their promise of lending new insights into galaxy evolution by characterizing an active mode of star formation, which contrasts with the typical more passive evolution dominating the local galaxy population. Studies of the Peas have suggested that a galaxy’s evolutionary pathway may depend on stochastic initial conditions, leading insights into our understandings of how galaxies throughout the Universe form. I enjoy days where we get to use questions from the public to meander our way through the Universe. 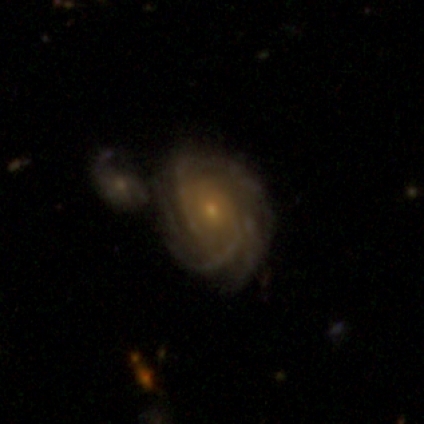 Our latest live hangout saw us discussing the latest update to the Galaxy Zoo site — made based on your clicks! — and doing a live, collective classification on a few example objects from our Hubble sample that we hope represent the kind of things you’ll be seeing more of from now on. 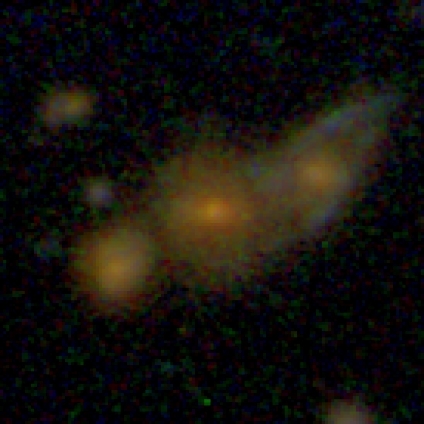 We also discussed whether these galaxies are merging or overlapping. 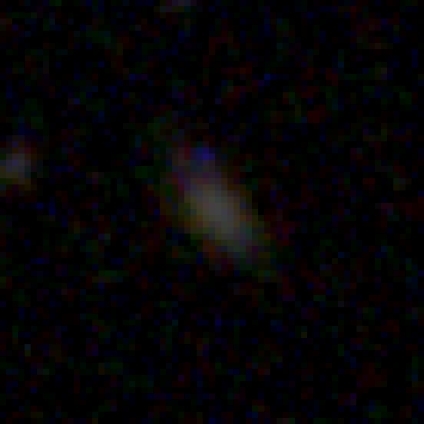 Depending on the redshift, a voorwerp in Hubble could be blue, green or red. Also, these two galaxies may have roughly the same proportions between them as between the Milky Way and the Large Magellanic Cloud. We also talked about the origin and importance of dust in galaxies, and just what a green pea would look like in the Hubble data. 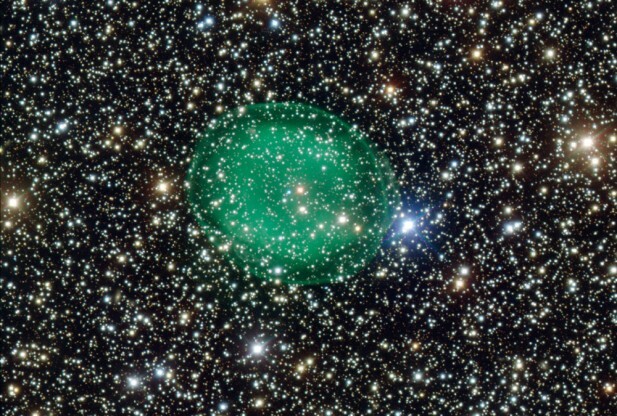 Green peas are galaxies with incredibly high rates of star formation. They’re rare in the local Universe, but how rare do we think they were billions of years ago, at the epoch we’re looking back to with Hubble? Thing is, a “green pea” at redshift z=2 would be bright red. And, for that matter, what were the stars like then? Astronomers very broadly group stars into three populations depending on their composition. The very earliest stars were made from the primordial elements forged during the Big Bang — almost entirely Hydrogen and Helium, nearly devoid of anything else (we call “anything else” a metal, including elements like Carbon and Oxygen). The next generation of stars had some metals, but the Universe has been around long enough that those stars (even the lower-mass ones that live for a long time) are past their prime and a new generation, one with compositions generally like our Sun, are now in their heyday. Bonus: green peas, voorwerpjes, and planetary nebulae are just three of the phenomena that (at least in part) glow green to human eyes because of one particular frequency of light emitted by Oxygen at a certain temperature, an atomic transition seen only rarely on Earth but fairly often in the Universe. Also, did you know that dust grains are the singles bars of the atomic universe, allowing atoms to meet and combine into molecules and cooling the gas clouds they live in — which in turn helps new stars form? Heating and cooling, gravity and pressure, and the interplay between atoms, molecules, and radiation are all a part of what gives us this amazingly diverse Universe. We understand quite a lot of it given that we are such a tiny part of it, but what we know is dwarfed by what we don’t. And that’s just the way astronomers like it… we love a challenge and we’re glad to have as much help as possible sorting things out. And click here to listen to the mp3 podcast version. Working with scientists in India, we have been awarded time on the Giant Metrewave Radio Telescope (GMRT) to study the radio properties of the Green Pea galaxies discovered by Galaxy Zoo users. We hope to use this telescope to detect the first signs of radio emission from the Peas, establishing them as a new class of radio sources. Why do we want to search for radio signals from the Peas? The radio emission comes from remnant supernovae which can accelerate relativistic electrons that emit synchrotron radiation. So when we are detecting star forming galaxies in radio emission, we are finding signatures from these supernovae, which tell us about the stars that live (or lived) in the galaxy. Therefore, using the radio emission we can trace recent star formation activity in the galaxy. We are particularly interested in these Green Peas, because they are the closest analogues to a class of vigorously star forming galaxies found in the early universe (known as Lyman Break Galaxies). These galaxies behaved very differently from star forming galaxies in the present day universe, and can help us to understand how galaxies formed in the early universe. Because Lyman Break Galaxies are so far away, Astronomers have not yet been able to detect radio emission from any of these galaxies individually. In contrast, the Peas are much closer and we have a good chance of being able to directly detect them in radio emission. Detecting this radio emission, and determining whether or not the radio emission from the Peas is like that in nearby star forming galaxies will help us to understand the nature of star formation in the youngest galaxies.